President Dmitry Medvedev has signed the much-anticipated Police Law aimed at reforming and rebranding the law enforcement institution. The document is to take effect on March 1. ­“We have completed long and intense work which required lots of effort and discussion involving public members, professionals, policemen. The law is coming into force,” Medvedev stated during a meeting at the Interior Ministry. “I congratulate everyone on this and wish compliance with the provisions of the law,” Medvedev stated during a meeting at the Interior Ministry. 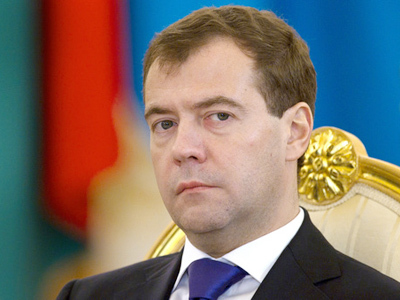 Medvedev has repeatedly said that he is aware of the shortcomings of the new law and that it will require amendments. “The law is not perfect, we have to realize that from the start,” he reiterated at the meeting. “I am sure that in the course of the implementation of the Police Law we’ll receive a number of proposals and suggestions that could be used. I have already received some from several non-government organizations. But first I would like the law to work for some time, to reveal its positive sides I hope, as well as shortcomings which are inevitable. And then we are going to make up for them,” he added. The president announced a major police reform in January last year. It was he who initiated a large-scale public discussion on the subject. The text of the draft law was put online for the first time in the country’s history so that everyone could put forward their suggestions and proposals. The work of the police, currently called “militia” in Russia, has been a sensitive issue for society. The body is often criticized for corruption, inefficiency and is said to have completely lost the trust of the population. Most people in Russia prefer not to go to the police, either due to fear or the conviction that their problem will not be solved anyway. This is what Medvedev aims to change, first of all, through structural transformation, which is supposed to make it more transparent and, consequently, more efficient. Structural changes imply, among other issues, 20 per cent reduction of police corps, which will be carried out based on qualification assessment. These include housing, education, healthcare, increase of salaries is also on the table, the president said. Currently police cannot boast high salaries and social benefits that add to the quality of life, something that many name as a major reason for corruption and low performance in police, where people are simply not motivated to do their job. But overcoming people’s negative attitude is no less important Medvedev believes. 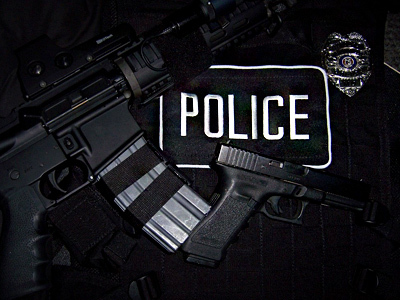 So, in his opinion, rebranding “militia” to “police” will contribute to a mental shift. ­Among the immediate issues that need attention, the president named fighting terrorism, extremism, organized crime and corruption. The preliminary investigation into the January 24 blast at Moscow’s Domodedovo Airport, which killed 36 people and injured over 100, showed that the work of police and security services was not coordinated. This was partly due to the fact that their areas of responsibility are divided even within the borders of one facility, the airport in this case. Security services are responsible for the interior premises while police only provide security outside the building – a problem that the president wants to fix with the new law. As for organized crime, Medvedev reminded that in many regions, the authorities, business and criminal groups have become a single entity. “It is virtually impossible to discern where one organized gang ends and where business community or government body starts,” he said. ­There are concerns, though, that renaming could be the only change and that the restructured body will inherit the drawbacks of its predecessor. However, after heated debates, both parliamentary houses adopted the bill. During the meeting with the Interior Ministry officials, Medvedev also mentioned the killing of football fan Egor Sviridov, which received much public attention. He praised Moscow police for the quick detention of those suspected of involvement in Sviridov’s murder. The fact that the 21-year-old was allegedly killed by natives of the North Caucasus escalated nationalist tensions and resulted in the notorious violent rally on Moscow’s Manege Square on December 11.